It’s the fatest 2 pole bass on this planet. 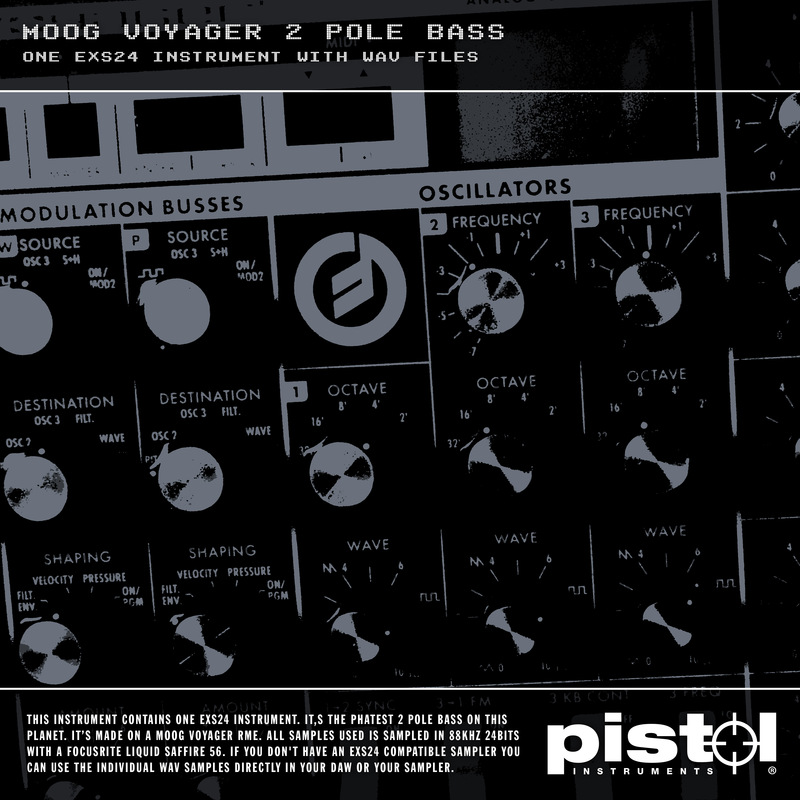 It’s made on a Moog Voyager RME with the sweet sounding feed back mod. All samples used is sampled in 88khz 24bits with a Focusrite Liquid Saffire 56. This instrument contains one EXS24 instrument. It’s the fatest 2 pole bass on this planet. It’s made on a Moog Voyager RME with the sweet sounding feed back mod. 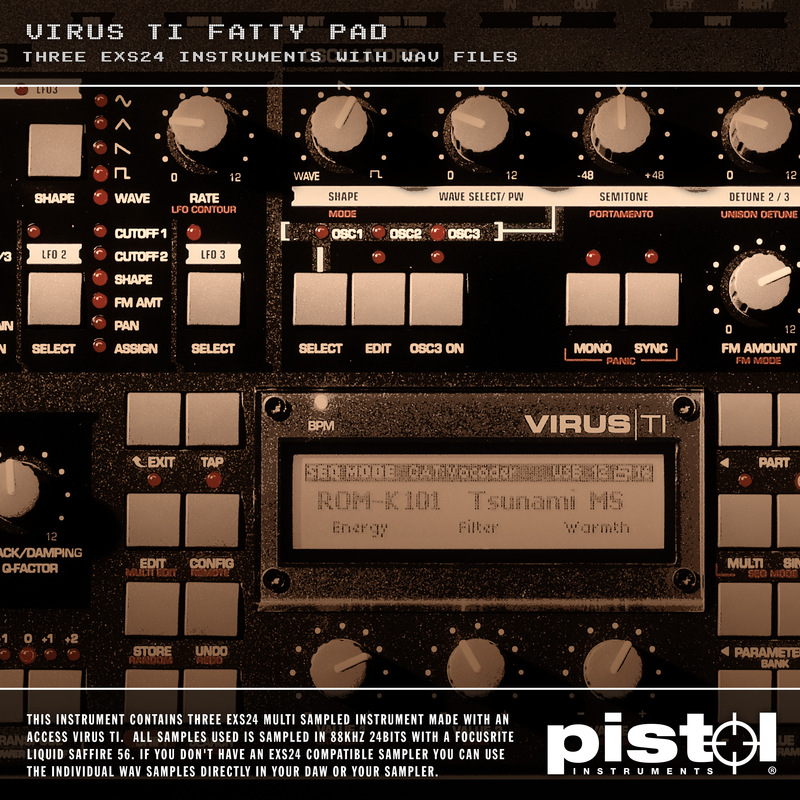 All samples used is sampled in 88khz 24bits with a Focusrite Liquid Saffire 56. If you don’t have an EXS24 compatible sampler you can use the individual WAV samples directly in your DAW or your sampler. 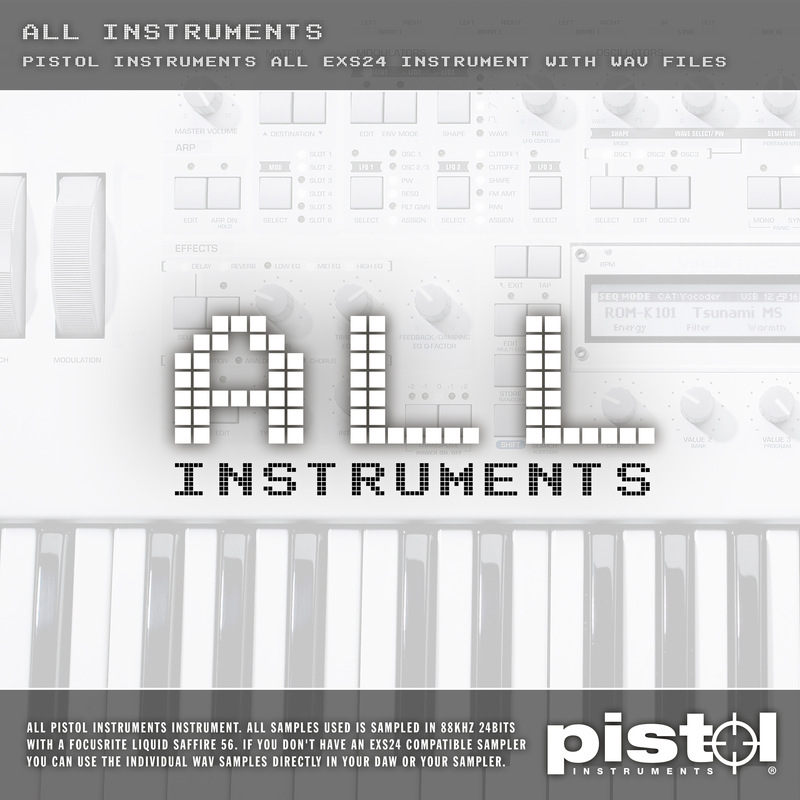 All text, pictures, videos and audio published on this site are property of Pistol Instruments. Unauthorized use of the material is not accepted and violators may be prosecuted. 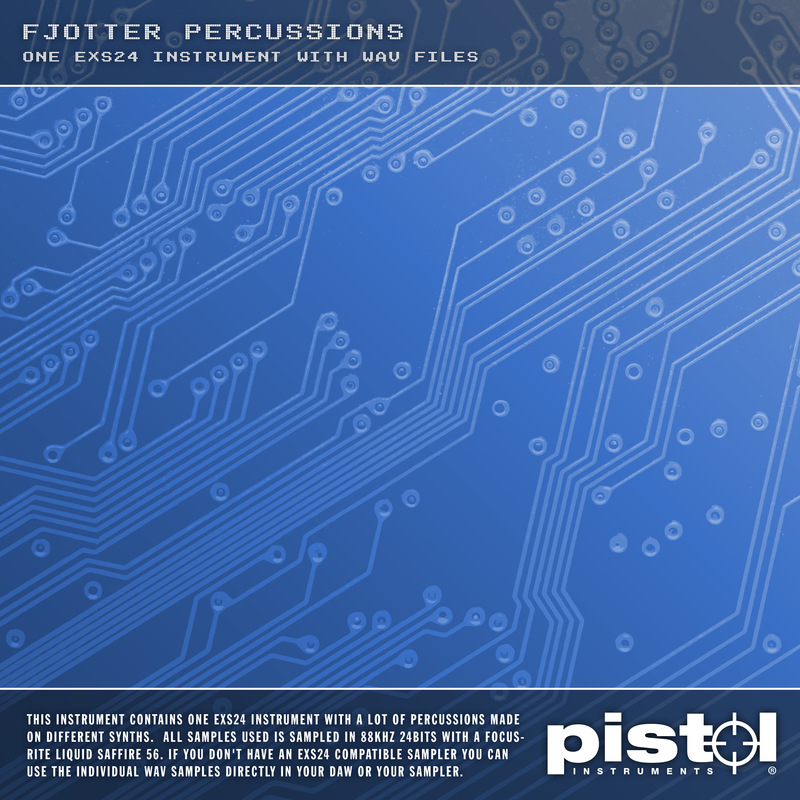 Pistol Instruments © 2019. All Rights Reserved.